California has the greatest number of veterans eligible for VA Loans in the nation, yet only 6% of veterans in California capitalize on the incredible benefits of these mortgage loans. This may be due to a lack of awareness of the availability of these loans, or a misconception that they are hard to obtain, or a perception that these loans are less attractive to sellers than other types of loans. These and other myths are simply untrue. On the contrary, VA Loans offer truly remarkable benefits for veterans. Through our partnership with American Family Funding, the credit union is able to offer VA loans to our members and their families. To qualify for a VA loan, Active Duty servicemen and women need to have fulfilled 90 consecutive days of wartime service, or 181 consecutive days of peacetime duty. In addition, Inactive Duty servicemen and women who received honorable discharges after serving 90 consecutive days of wartime service or 181 consecutive days of peacetime service also meet the requirements for VA Loan eligibility. Likewise, Reservists who have served in the Army Reserve, Army National Guard, Air National Guard, Coast Guard Reserve or the Air Force Reserve for at least six years meet the eligibility requirements to apply for a VA Loan. Last but certainly not least, surviving spouses of veterans or reservists may be eligible for a VA Loan. In addition to the myths mentioned above, other myths about VA Loans include misconceptions that VA loans won’t work for purchasing a foreclosure, or a short sale, or that VA Loans are only for first time home buyers. Still other falsehoods about VA Loans include a false notion that the eligibility expires, that a veteran may only use their VA Loan eligibility once, or that a foreclosure in the veteran’s past makes them ineligible for another VA Loan. While every situation is unique, most of these myths are false. In contrast to the myths about VA Loans, these products have come a long way, in recent years, and offer extraordinary benefits to those who have selflessly served our nation. To begin, VA Loan eligibility never expires, and the loan can be used more than once. In fact, VA Loans can be used for 2nd and even 3rd homes. In some cases, it is even possible to have more than one VA Loan at a time. Other incredible benefits of VA Loans include the possibility of a no-money-down loan, a loan without monthly mortgage insurance required, and closing costs covered by the seller, lender, or 3rd party. Even greater reduction in closing costs for veterans who are disabled, may be offered, and VA Loans don’t have a maximum loan amount. Instead, those needing a Jumbo Loan may even find that down payment requirements are significantly less than Conventional Jumbo Loans. VA Loans are also available for Construction Loans, Rehabilitation loans, and for Manufactured Homes. Finally, VA Loans often have competitive interest rates available, and do not come with prepayment penalties. 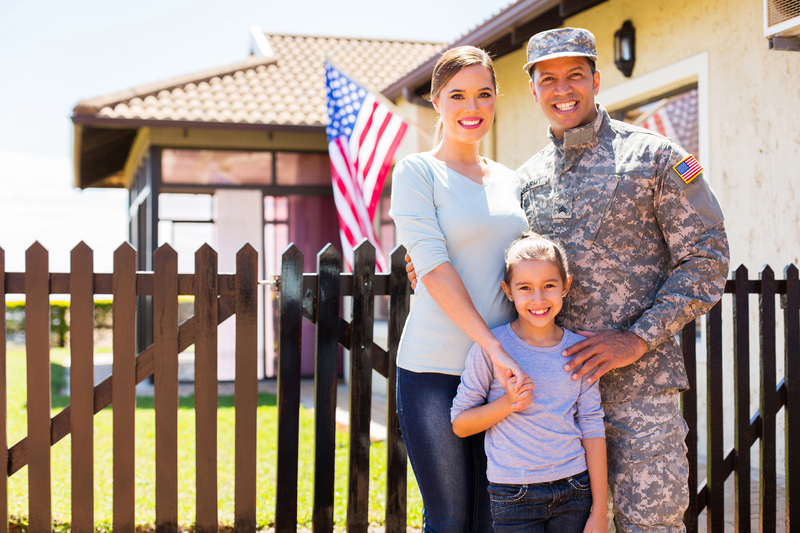 Mortgage companies or brokerages must be approved to offer VA loans to veteran borrowers. At American Family Funding, they are not only approved to offer these incredible products, but they consider it an honor to do so. If you are a Veteran or have a family member who is a Veteran and would like more information on a VA loan, please reach out to our loan department and we will put you in touch with a VA loan specialist at American Family Funding for a free consultation.